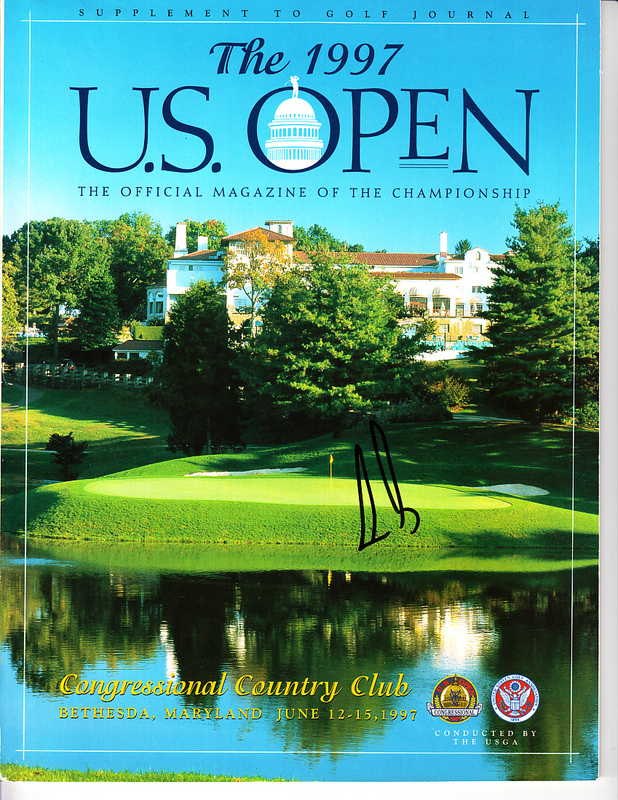 Complete 1997 U.S. Open golf program autographed on the cover in black Sharpie by Ernie Els, who won his second major championship at Congressional. Obtained in person, with certificate of authenticity from AutographsForSale.com. Has minor handling flaws and wear. ONLY ONE AVAILABLE FOR SALE.